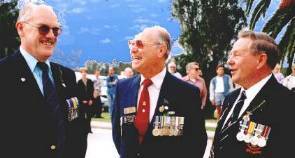 On Anzac Day we solemnly remember fallen comrades. "They shall grow not old as we who are left grow old. 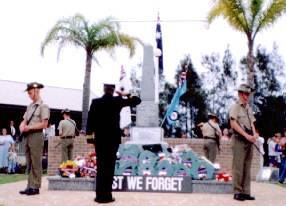 "On this day above all days we recall those who, in the great tragedy of war, gave their lives for Australia and for the freedom of mankind. Those who still sleep amid the ridges of Gallipoli and the terraced hills of Palestine; in the lovely cemeteries of France or the shimmering haze of the Libyan desert; amid the mountains and olive groves of Greece and the Middle East; and the jungles of Malaya, New Guinea and the Pacific Islands; and rugged Korea and Vietnam; amid loving friends in our Mother Country and our own land; and in unknown resting places in every continent and every sea."